Royal Gazelle is market leader in bicycles in the Netherlands. Gazelle has been producing high quality bicycles since 1892. This made Gazelle receive the title “Royal” at its 100 year existence. By speeding up innovation, Gazelle has proven to remain a top player in the bicycle market year after year. 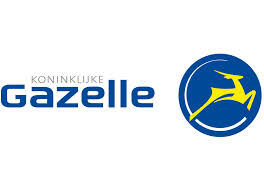 The large amount of prizes and awards that Gazelle has been given from the ANWB and many other leading authorities are another indicator of Gazelle’s success. The bicycle market is changing rapidly. Even more than before consumers desire new models filled with the latest technological developments and painted in stylish colours. On top of that, there is strong competition in the market. To be able to service its customers even better, Gazelle decided to shorten their lead times to customers. A new production concept has been develop by Gazelle to enable these shortened lead times. The new production concept consists of a new physical lay-out of the operation and a new planning & control method. The new concept has been put on paper. However, it’s still uncertain whether this all is feasible in practice and what the impact will be on the required production capacities. Due to the large amount of items and the variability in the manufacturing processes determining this is not straightforward. Gazelle is also questioning whether the planned storage capacity is sufficient. Furthermore, Gazelle wants to know whether the manufacturing processes can still be optimally planned in the new situation. At the request of Gazelle, Involvation developed a simulation model representing the new production planning and control. Next to the planning, the primary processes have been modeled as well as the connection between processes and control. During the modelling phase it became clear that certain parameters were not yet fully known, for example the rework % on certain processes. Due to the model’s flexibility it was easy to simulate different values for these uncertain parameters. Hereby it was possible to determine the sensitivity to specific parameters and to identify the processes most impacted by these parameters. In consultation with Gazelle several scenarios were defined. By simulating these scenarios, the development throughout time of the Gazelle capacities could be illustrated. An important question was how large the storage capacity should be and with which storage equipment it should be set up. This would define whether or not investments in storage capacity would be done. The simulation clearly showed that in practice there would be a shortage in capacity. After considering this together with Gazelle, a simulation was run with another design of the storage area. This simulation proved that the area would be sufficient, but that another type of storage equipment would be necessary. It was not clear what the new concept would mean for the required process capacity. Here the model distinctly showed that the initially planned capacity would not be enough to fulfill market demand. Simulation of several solutions for the capacity shortage provided insight in the evolution of the capacity requirement throughout time. It became evident that process improvements and an increase in capacity would provide sufficient capacity. Early awareness of this enabled Gazelle to take timely measures.